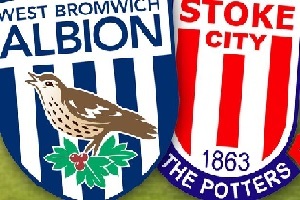 West Bromwich Albion will play against Stoke City on January 2nd 2016. The last time these two met Stoke lost with 0:1 ( two red cards in the first half ). The away team have played very well in their last ten games.Including home win against Manchester City, Manchester United, and a spectacular 3:4 away win against Everton. West Brom is doing fine for now. They are 13th with 23 points. Both teams will face each other with no injuries in their starting eleven. With that said I think Stoke have more chances to win this game.